Moore Tree provides exceptional tree care. 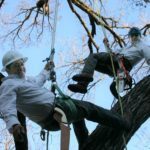 Our registered consulting arborists and professional tree care specialists are a single source for clients who want arbor services that adhere to strict standards of excellence and best practices for arboriculture and licensing criteria mandated by the Tree Care Industry and International Society for Arboriculture. 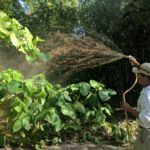 This means having a safety-first team of technical experts ready to treat disease, fertility, infestation, pruning and root health with non-toxic solutions before problems arise, not after. 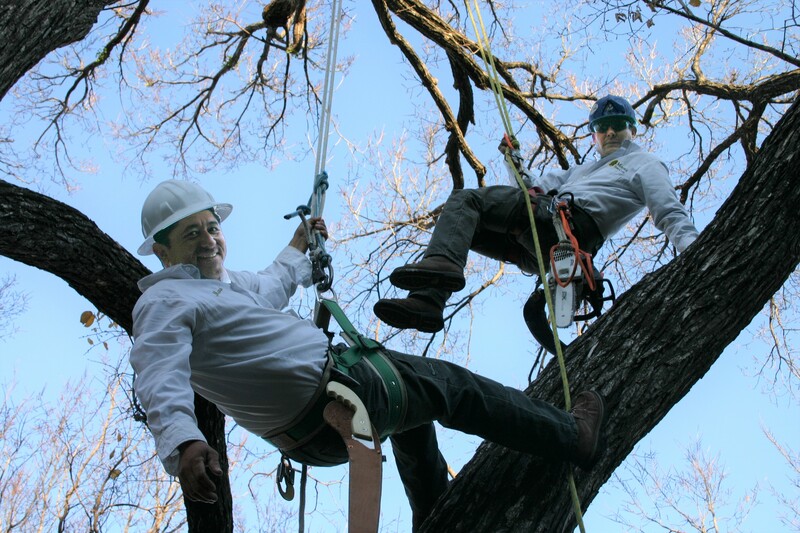 Moore Tree arborists are also experienced in protecting and saving heritage trees during and after construction projects. 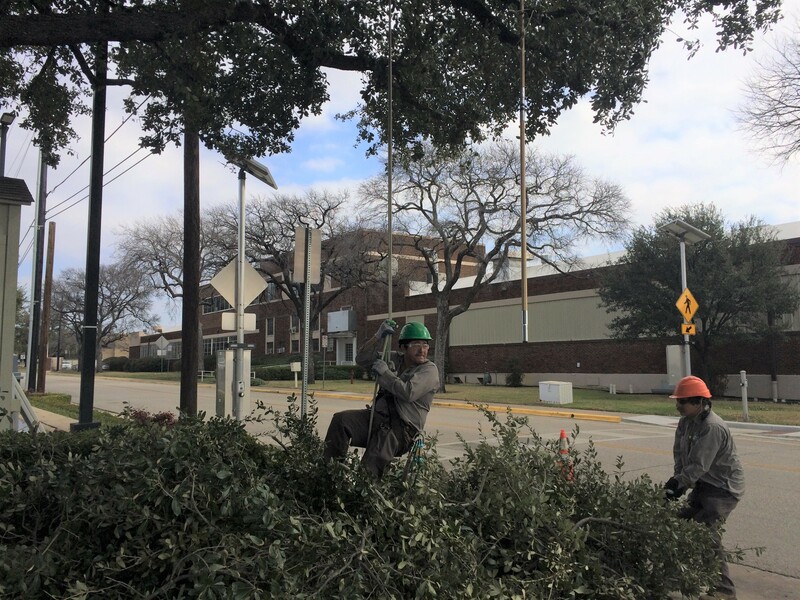 The firm’s Arbor group is the designated tree care consultant for the Dallas Arboretum and the Uptown District, and works closely with the Texas Trees Foundation and many other leading commercial and residential projects throughout greater Dallas and Fort Worth. 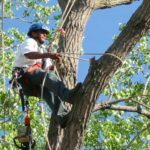 Tree pruning done well is an art form that maintains the natural shape and characteristics of your specific tree species. 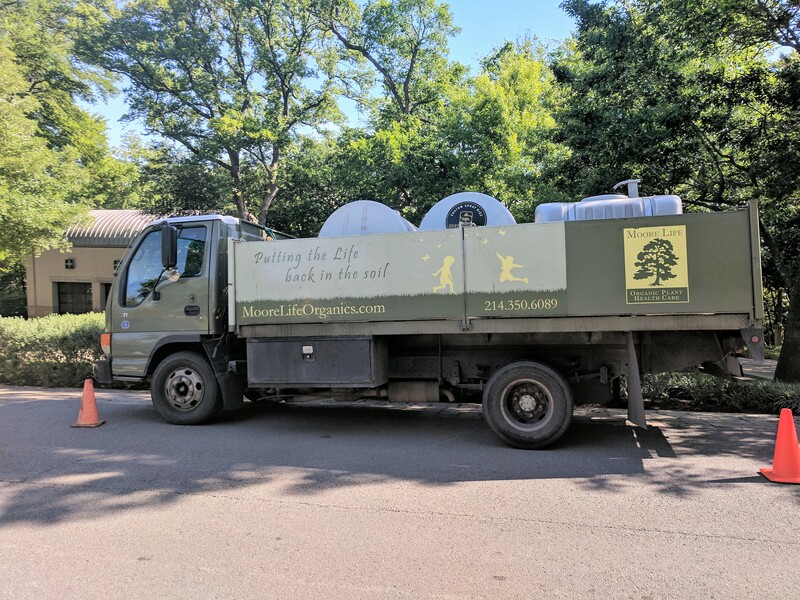 Our arborists and crews evaluate the aesthetic goals for today as well as help you maintain healthy trees by providing only the necessary solutions to your tree and shrub care needs over the long term. 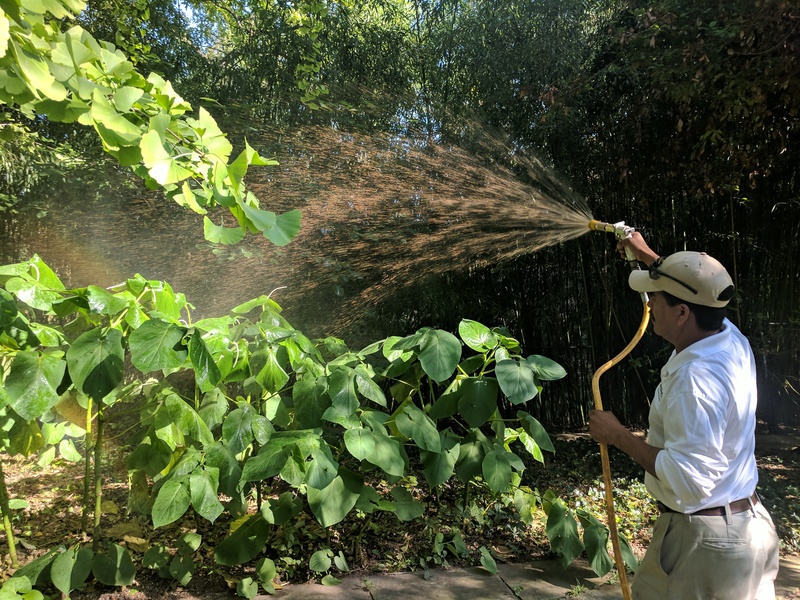 Moore Tree offers proactive year-round health programs, and mosquito, insect and disease control seasonally, to ensure your trees are receiving the proper nutrition to remain healthy and vigorous. Removing lower limbs of the tree is common, and is often seen in commercial settings. The results, however, produce an awkward and unnaturally shaped tree. Repeated removal of lower limbs will lead to significant stress as the tree matures. Removal of the inner limbs produces an abnormally stripped tree that looks like an umbrella. This technique is also detrimental to the health of the tree, producing a tree that is structurally weak and susceptible to ice, wind and storm damage. By selectively removing a portion of the branches within the inner structure to the outer reaches of the canopy, we can maintain a tree’s beautiful and natural appearance. We prune trees appropriately to promote structural integrity and health, and improve light filtration. Most trees have been either planted too deeply or had soil grades raised over their root systems. 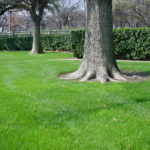 The natural trunk flare is not visible above the surface of the soil, which causes trunk decay, girdling (or choking) of the roots as well as many other health problems as the trees mature. 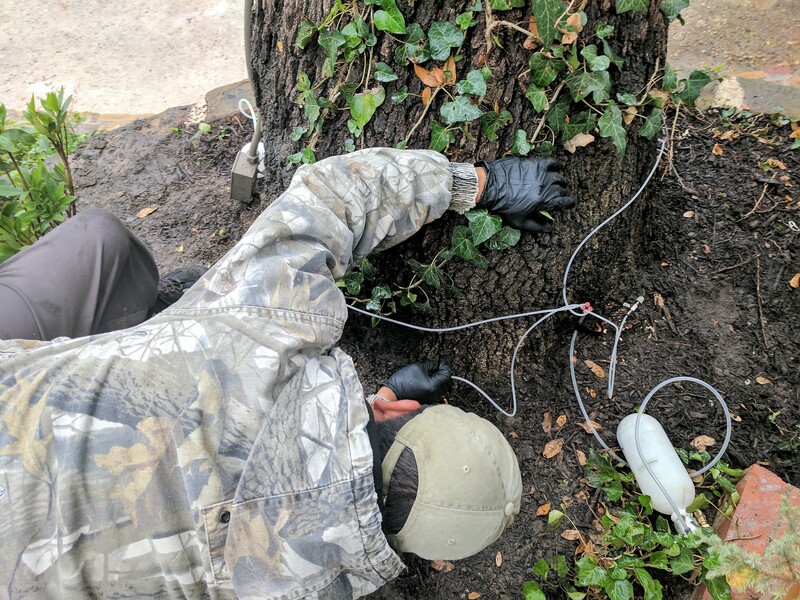 Our crews utilize a unique tool called an Air Spade to expose any trunk decay and remove girdling roots to prolong the life of your trees. 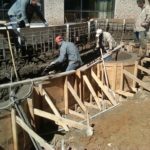 To ensure that damage to trees does not occur during construction, trenching for utility lines and irrigation systems, excavation, and bed preparation, property owners and managers can consult with us to develop a comprehensive plan to protect and save trees during and after these construction projects are completed.